Brandeis-Led Study Abroad Programs are either faculty-led programs or programs that have faculty oversight and are sponsored by the Office of Study Abroad. Building on strong connections in Denmark, Italy and The Netherlands, Brandeis University has developed these unique academic programs for undergraduate students. The programs embody the distinctive elements of a Brandeis education including the intense intellectual engagement students share with our cutting-edge faculty; rich experiential learning opportunities; and the university's longstanding commitment to global engagement and social justice. 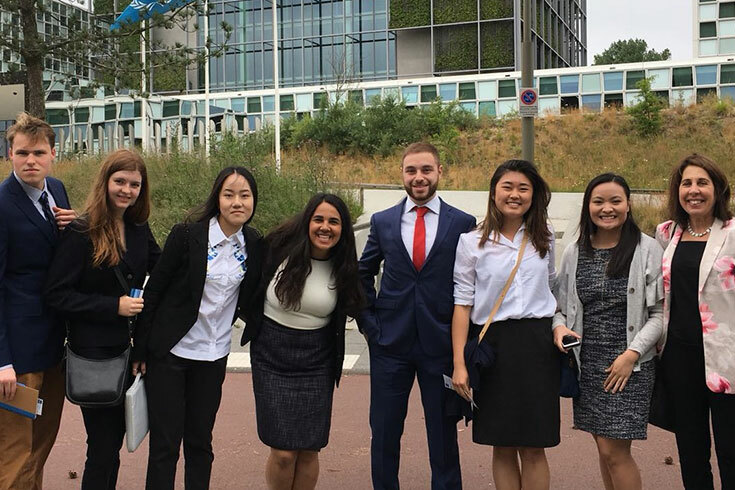 The Brandeis in Copenhagen program is a two-course, intensive summer program combining Microeconomic Theory and Behavioral Economics in Copenhagen, Denmark. The program is a culturally immersive, experiential learning experience where you will come in direct contact with case studies and current issues in Scandinavian Europe. You will study core economic theory and applications in the classroom, listen to speakers on European policy issues and visit places of economic interest, such as businesses, markets, and government institutions. Integration between the two courses and the field trips will provide a holistic understanding of economic issues in Scandinavian Europe, as well as a solid grounding in core economic theory. Led by Economics Professor Scott Redenius in 2019.